b. July 27, 1812, in Whitefield, Maine; d. March 17, 1890, in Chicago, Illinois. In 1835, Scammon was admitted to the bar in Maine but moved, that same year, to Chicago where he became a deputy clerk of the circuit court. He was appointed in 1837 to be the attorney for the State Bank of Illinois. In 1839, he was appointed the Illinois Supreme Court Reporter, and he was responsible for the compilation of four volumes of its reports. Interested in newspaper publishing, he launched the Chicago Journal in 1844, the Chicago Republican in 1865, and the Inter-Ocean in 1872. Sometime around 1845, Scammon formed a law partnership with Norman B. Judd that lasted until 1847. He was also interested in railroads, banking and insurance. He established the Marine Bank of Chicago in 1851, the Mechanics National Bank in 1864, and the Chicago Fire and Marine Insurance Company, for all of which he served as president. 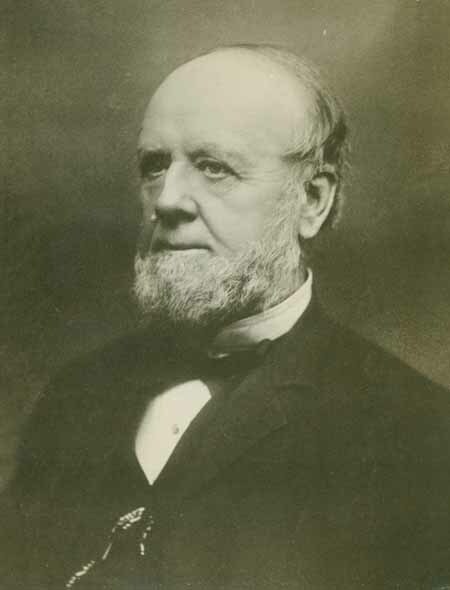 Scammon contributed to the development of the Galena and Chicago Union Railroad Company and was instrumental in bringing the Michigan Central Railroad to Chicago. He was a Whig and later a Republican, and he supported Lincoln' s election to the presidency. In 1864 and 1872, Scammon was a member of the Republican National Convention, and he was elected to the state senate in 1861. He continued to practice law throughout his life, and Abraham Lincoln's son, Robert Todd Lincoln, studied law in his office. By the early 1850s he was a man of considerable wealth, but throughout the 1870s his fortunes suffered a series of financial woes from which he did not recover. Scammon also helped to found many societies and charities including the Chicago Historical Society, the Chicago Academy of Sciences, Hahnemann Hospital and Medical College, and the original University of Chicago. John J. Duff, A. Lincoln: Prairie Lawyer (New York: Bramhall House, 1960) 248; Allen Johnson, ed., Dictionary of American Biography (New York: Charles Scribner’s & Sons, 1964), 8:2:407-08; John Palmer, ed., The Bench and Bar of Illinois: Historical and Reminiscent (Chicago: Lewis Publishing Co., 1899), 1:155, 2:987-89; United States Biographical Dictionary: Illinois Dictionary (Chicago: American Biographical Dictionary, 1876), 767-68. Illustration courtesy of the Abraham Lincoln Presidential Library, Springfield, IL.